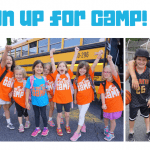 Home » ITCC delivers camp online! When school kids throughout Atlanta were stuck at home for the second snow day in a row, the ITCC team reached out to its stellar staff to bring morning song (shira), art, magic, and jokes directly to our campers’ homes! 161 households tuned in to In the City Camp’s first-ever Snow Day Camp online broadcast! Enjoy the recording below. 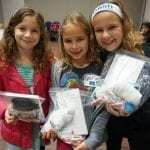 View photos we received from Snow Day Campers here.